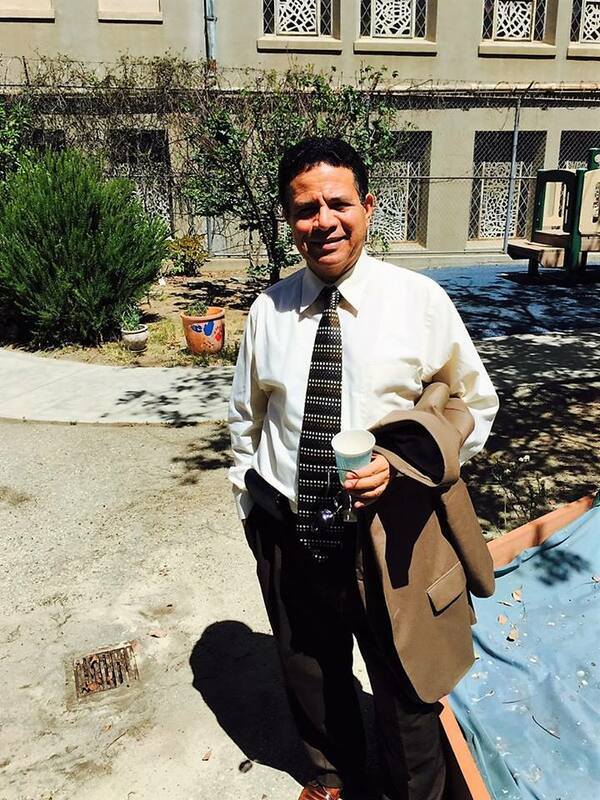 For the last 14 years, Raafat Girgis served on the National Staff of the Presbyterian Mission Agency of the Presbyterian Church (U.S.A.) directing the office of Multicultural Ministries. Through that time, this office pioneered innovative and cutting edge programs of evangelism and racial and cultural diversity that have generated spiritual energy, transformative leadership, and inspired multicultural church growth within the PC-(U.S.A.) and beyond. The five major areas of this office focused on Holistic Evangelism, Multicultural Church Growth, Leadership development, Networking, and Ecumenical Partnership. Raafat holds two undergraduate degrees and three Master’s degrees in social sciences, history and theology, in addition to five years of studies and research in the area of history and theology, (incomplete PhD). 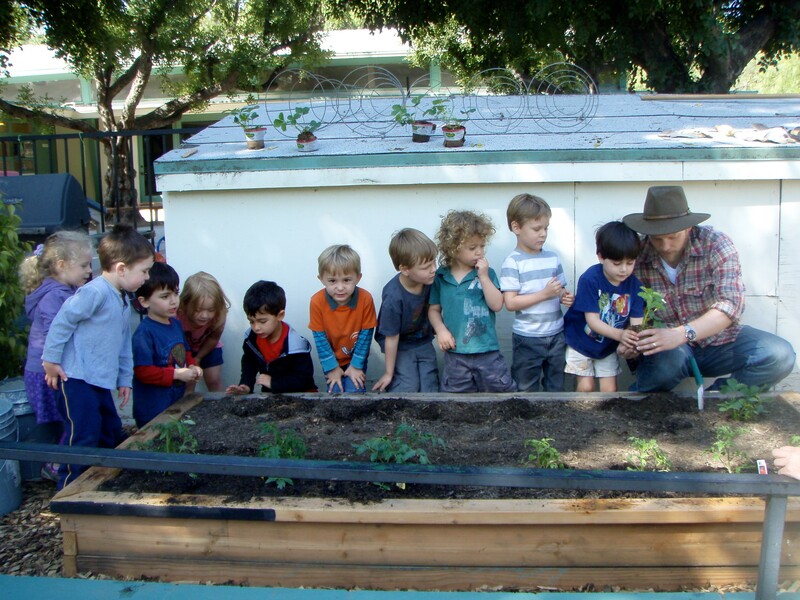 His cross-cultural and interfaith relations experiences along with his multi-discipline academic background contribute great insights to both classroom and sanctuary. Raafat’s professional experience includes transformative leadership training, team building, conference design, teaching and consulting. As an ordained minister since 1982, Raafat has engaged in and advocated for a unified model of ministry for diverse communities. He envisions a culturally proficient church/community that intentionally takes the whole Gospel to the whole world and utilizes a holistic approach of ministry that equally emphasizes spiritual transformation and sweeping social justice. He pictures a church that provides the Good News to all people in a cup that they gratefully recognize and celebrate. 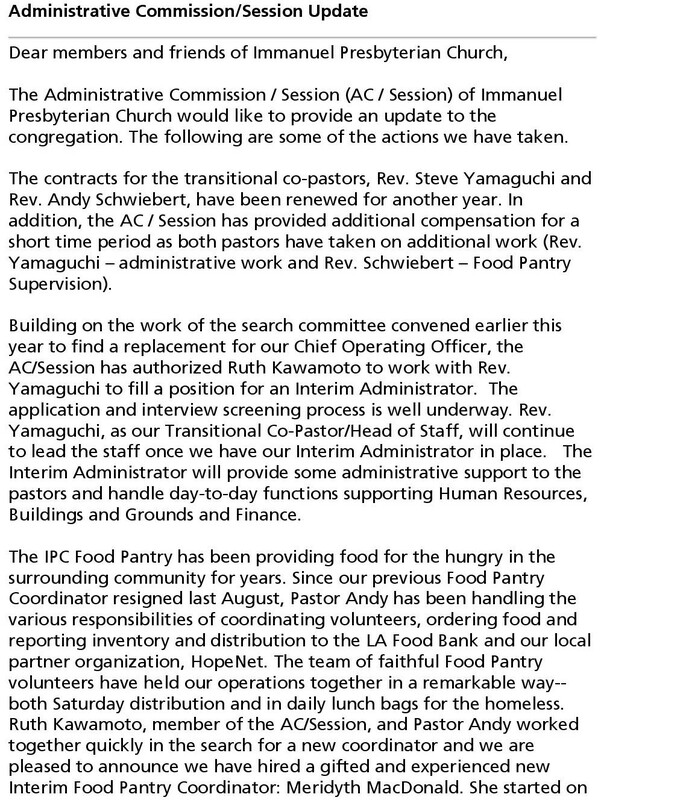 “Immanuel Presbyterian Church in Los Angeles is such a great multicultural cathedral of hope where faith, justice and culture are joyfully and cohesively intersected. “I am very excited to land on such holy ground where other saints stepped before me. 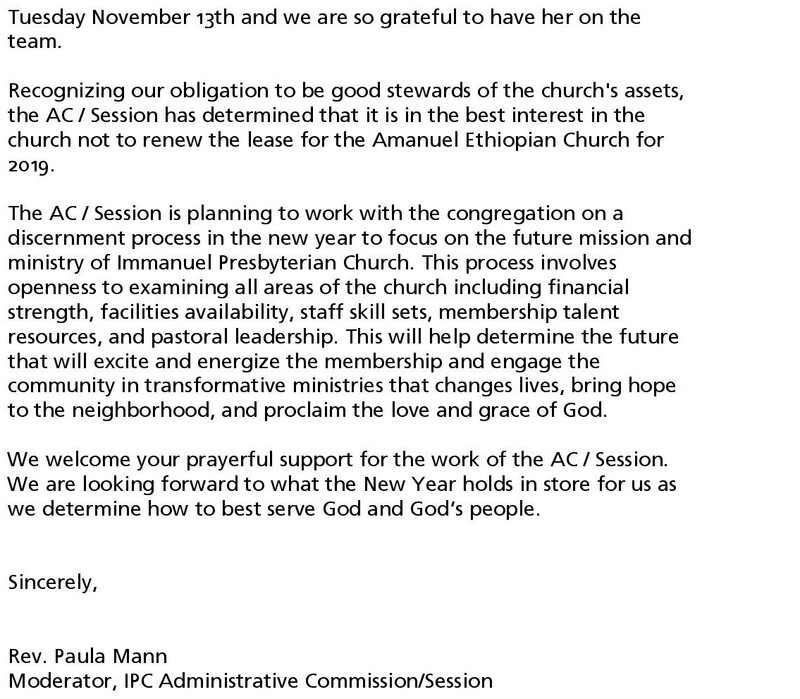 I ask all my friends, colleagues and ecumenical partners in ministry to pray for me and for Immanuel as we seek God’s presence and guidance in shaping this new beginning for this amazingly welcoming congregation. Durante los últimos 14 años, Raafat Girgis sirvió en el Estado Mayor Nacional de la Agencia de Misión Presbiteriana de la Iglesia Presbiteriana (EE.UU.) dirigiendo la oficina de Ministerios Multiculturales. En ese momento, esta oficina fue pionera en programas innovadores y de vanguardia en la evangelización de diversidad racial y cultural que han generado la energía espiritual, el liderazgo transformador, e inspirado el crecimiento de la iglesia multicultural dentro de PC- (EE.UU.) y más allá. Las cinco áreas principales de esta oficina se centraron en Evangelismo Holístico, Crecimiento de Iglesia Multicultural, Desarrollo del liderazgo, Conectando y Asociación Ecuménica. Raafat posee dos títulos de licenciaturas y tres maestría en ciencias sociales, historia y teología, además de cinco años de estudios e investigaciones en el ámbito de historia y teología, (Doctorado incompleto). Sus experiencias de relaciones interculturales e interreligiosas, junto con su formación académica multidisciplinaria contribuyen grandes ideas para ambos lugares como aulas y santuarios. Experiencia profesional de Raafat incluye la formación transformadora de liderazgo, trabajo en equipo, diseño de conferencias, docencia y consultoría. Como un ministro ordenado desde 1982, Raafat ha participado y abogado por un modelo unificado del ministerio de diversas comunidades. Se imagina una iglesia/comunidad culturalmente competente que intencionalmente lleva todo el Evangelio a todo el mundo y utiliza un enfoque holístico del ministerio que enfatiza igualmente la transformación espiritual y la justicia social. Se imagina una iglesia que ofrece las Buenas Nuevas a toda la gente en una forma que agradecidamente sea reconocida y celebrada. 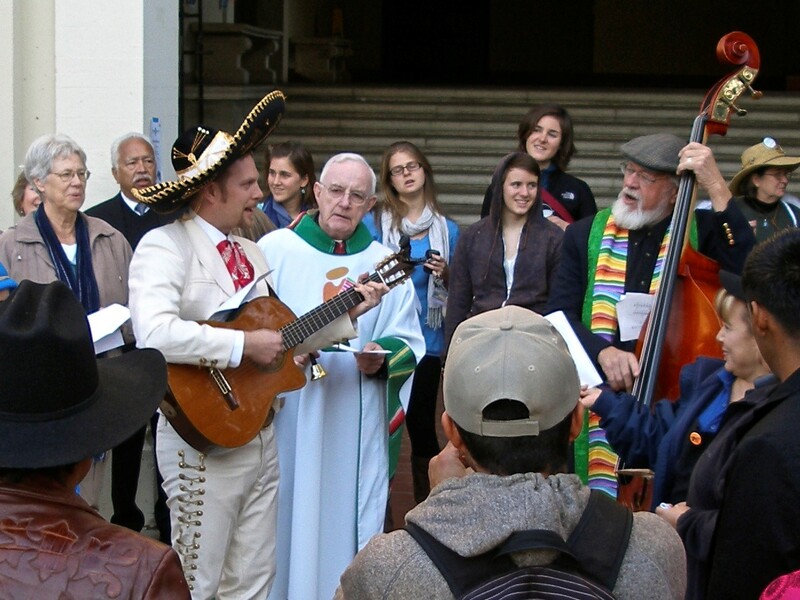 “Iglesia Presbiteriana Immanuel en Los Angeles es una gran catedral tan multicultural de esperanza donde la fe, la justicia y la cultura son alegremente y coherentemente intersectadas. “Estoy muy emocionado de llegar a esta tierra santa donde otros santos estuvieron antes que yo. 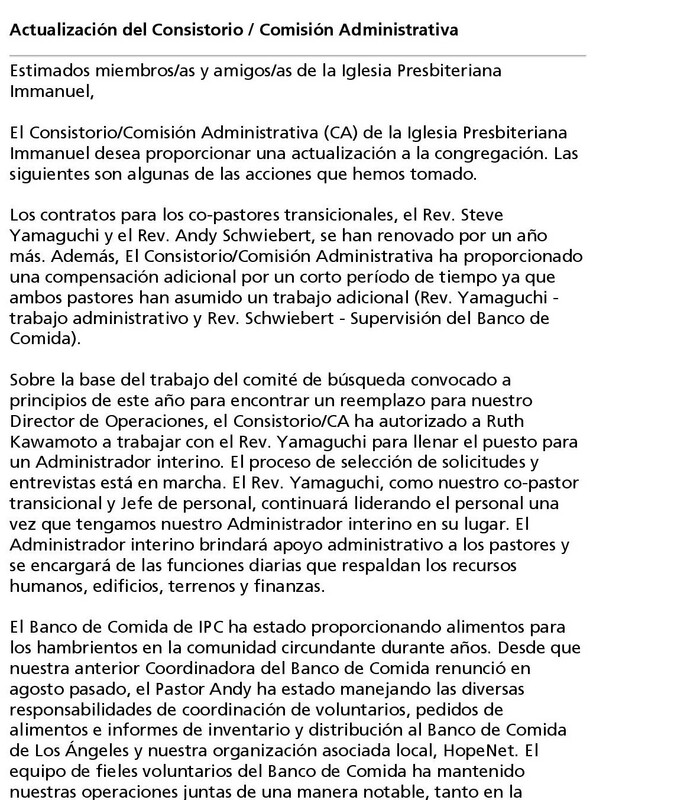 Pido a todos mis amigos, colegas y socios ecuménicos en el ministerio de orar por mí y por Immanuel mientras buscamos presencia y la guía de Dios en la conformación de este nuevo comienzo para esta congregación increíblemente acogedora. “Los invito, sí, que el lector de estas líneas de todo el mundo, si vienes a Los Angeles a que pares y nos visites en Immanuel y si te están moviendo a Los Ángeles para hacer de Immanuel tu casa de culto o iglesia hogar “. Welcome February Supply Preacher Rev. Samuel Pullen! Rev. Samuel Pullen was born in Minnesota and grew up in Iowa. Samuel has been responding to the call of solidarity with the poor and oppressed since high school. At the Evergreen State College in Washington, Samuel conducted pesticide education sessions with farmworkers and graduated with a Bachelors degree in Sociology and Environmental Justice. For the next ten years, Samuel worked as a labor and community organizer with UNITE HERE, the Hotel and Restaurant workers union. In 2008, Samuel felt called to join an intentional Christian community called the Center for the Working Poor where he coordinated a food delivery program and led non-violent campaigns for immigrant rights and access to health care for all. While engaged in bilingual worship at Immanuel Presbyterian Church in Los Angeles, God began preparing Samuel’s heart for Christian ministry. In 2010, Samuel responded to the call to pursue a Masters of Divinity at Claremont School of Theology. Samuel completed his field education at the First Congregational Church in Pasadena, where he helped to launch a new ministry and worship service called “(a)Spire.” Samuel served as the ministry assistant at Woodland Hills Community Church from 2012-2013 where he coordinated spiritual formation, community outreach, and taught music at the Nursery School. Samuel was ordained by the United Church of Christ on August 24, 2013, to serve as a “Minister of Health Justice” with LA Voice, where he built teams that helped over 850 people obtain affordable health care. Rev. Pullen is currently working as a guest preacher and seeking a call as a church pastor. Samuel is fluent in Spanish and plays violin with mariachi groups, where he is commonly known as “El Mariachi Gringo.” One of the greatest blessings in Samuel’s life is being married to Elizabeth González, who works as a bilingual educator in public schools and as a private language coach. They now live together in Culver City, CA, where they enjoy preparing healthy meals, dancing, exploring nature, and spending quality time with family and friends. As a part of Immanuel’s 125th year, we are discerning God’s call to Immanuel for the next 125 years. The session invites you to participate in a series of educational and listening sessions over the next two months regarding the mission and future of Immanuel. Join us as we work together to discern how Immanuel will live into God’s good news to the city of Los Angeles. Two Educational Sessions will be hosted by members of session in the Parlor at12:30 p.m. – 1:30 p.m. on Sunday March 23 and at 12:45 p.m.—1:45 p.m. on Sunday March 30. At the Educational Sessions, elders will share information about Immanuel’s resources, ministries, our campus and our mission. Both Educational Sessions will be bilingual. Two Listening & Dialog Sessions will be hosted by members of session in the Parlor at 12:30-1:30 p.m. on Sunday April 6 and Sunday April 13. At the Listening & Dialog Sessions, elders encourage members to share their ideas, comments, concerns in writing. The broader conversation from the Listening & Dialog Sessions will be shared with the whole congregation, along with timelines for responses. Members who are interested in becoming more involved in the discernment & research work can find out more. Elders will draw on these conversations as they continue to lead Immanuel in discerning the mission and future for the next 125 years. We look forward to having these important conversations will the whole Immanuel family. Please make plans to participate in one of the Educational Sessions (3/23 or 3/30) AND one of the Listening & Dialog Sessions (4/6 & 4/13). In the meantime, please do not hesitate to contact any elder on session with questions or comments. Como parte del 125 aniversario de Immanuel, estamos discerniendo la llamada de Dios a Immanuel para los próximos 125 años. El consistorio les invita a participar en una serie de sesiones educativas y de escucha que se realizaran los próximos dos meses en relación con la misión y el futuro de Immanuel. 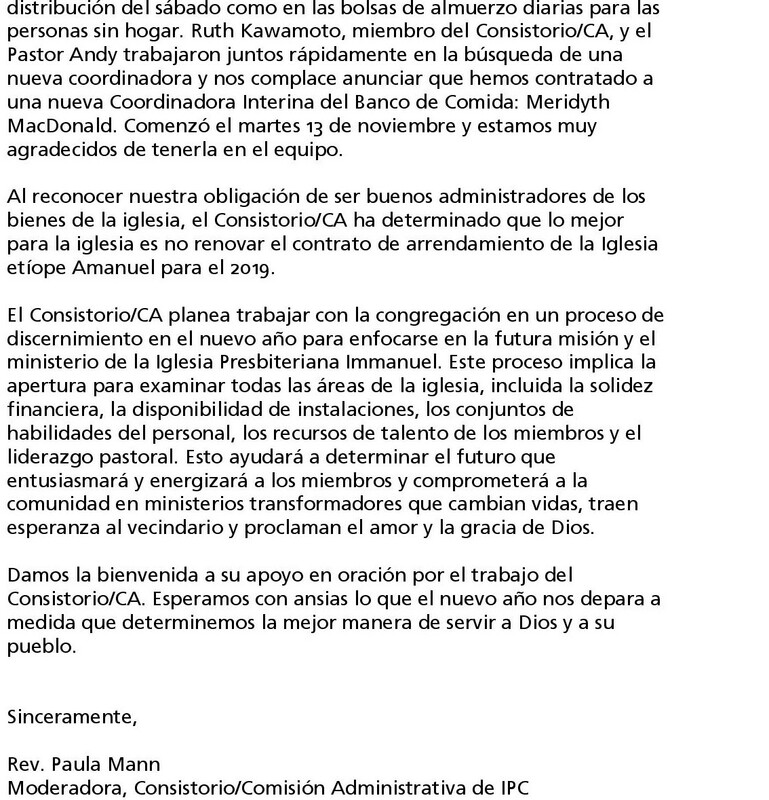 Únase a nosotros a medida que trabajamos juntos para discernir cómo Immanuel vivirá bajo las buenas nuevas de Dios para la ciudad de Los Angeles. Dos sesiones educativas serán organizadas por los miembros del consistorio y se llevaran a cabo en el Parlor room de 12:30-1:30 pm el domingo 23 de marzo y de 12:45-1:45pm domingo 30 de marzo. En las sesiones educativas, los ancianos gobernantes compartirán información acerca de los varios recursos con los que cuenta Immanuel como por ejemplo sus ministerios, nuestro recinto universitario y nuestra misión. Ambas Sesiones Educativas serán bilingües. Dos sesiones de información y diálogo serán organizadas por los miembros del consistorio en el Parlor room de 12:30-1:30 el domingo 6 de abril y el domingo 13 de abril. En las sesiónes de información y diálogo, los ancianos gobernantes motivan a los miembros para que por escrito compartan sus ideas, comentarios e inquietudes. Los temas generales que se discutirán durante la sesión de informacion y diálogo serán compartidos con toda la congregación y una fecha límite para entregar sus respuestas será proporcionada. Los miembros que estén interesados en participar más estrechamente en el discernimiento e investigación del trabajo también podrán obtener más información. Los ancianos gobernantes se basarán en estas conversaciones, y así encausar a Immanuel en el discernimiento de la misión y el futuro de la iglesia en los próximos 125 años. Esperamos poder tener estas conversaciones importantes con toda la familia de Immanuel. Por favor haga planes para participar en una de las sesiones educativas (3/23 o 3/30) y una de las Sesiones de Información y Diálogo (4/6 y 4/13). Mientras tanto, por favor no dude en ponerse en contacto con cualquier anciano gobernante de la sesión con cualquier pregunta o comentario. My name is Rafael Cardona and I’m very excited to join the Immanuel team in the capacity of COO – Chief Operating Officer. I look forward to working with all of you and help the organization accomplish its mission and reach its goals. Feel free to stop by my office at any time so we can chat about how we can collaborate. Mi nombre es Rafael Cardona y estoy muy entusiasmado al formar parte del equipo de Immanuel en la capacidad de COO – Chief Operating Officer (Director de Operaciones). Espero poder laborar con todos ustedes para así juntos cumplir con la misión y objetivos de la organización. Les invito a que visiten mi oficina cuando gusten para charlar sobre como podríamos colaborar. You are currently browsing the archives for the Transition News category.